The Flagstaff Festival of Science begins today. People come from all over the world to experience the latest research on everything from Pluto to prehistoric plants. This year, the Festival features an art exhibit called Fires of Change. It’s the result of more than year of collaboration between scientists and artists who want to open up a new perspective about wildfire. The Fires of Change exhibit will be on display at the Coconino Center for the Arts until October 31. Piles of charred logs lay scattered among ponderosa pines just outside the Coconino Center for the Arts in Flagstaff, the venue for the exhibit. Andi Thode, principal investigator of the Southwest Fire Science Consortium, points them out. “There’s some burn pile scars and some small tree stumps that have been cut, so this is a much more fire-resistant and resilient forest,” she says. Thode is giving me a tour of where the “Fire Science Boot Camp” kicked off last year: three days of intense science training for 11 artists chosen to contribute to Fires of Change. Fires of Change was the brainchild of ecologists at the Southwest Fire Science Consortium and the Landscape Conservation Initiative. They wanted to invite artists to give their unique interpretations of what it means to live in fire-affected landscapes. 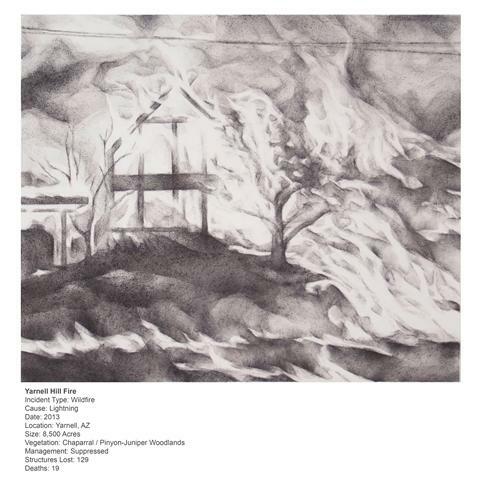 Julie Comnick’s charcoal drawing of the 2013 Yarnell Hill Fire, made with charcoal from that fire site. Wildfires have become more catastrophic in recent decades. 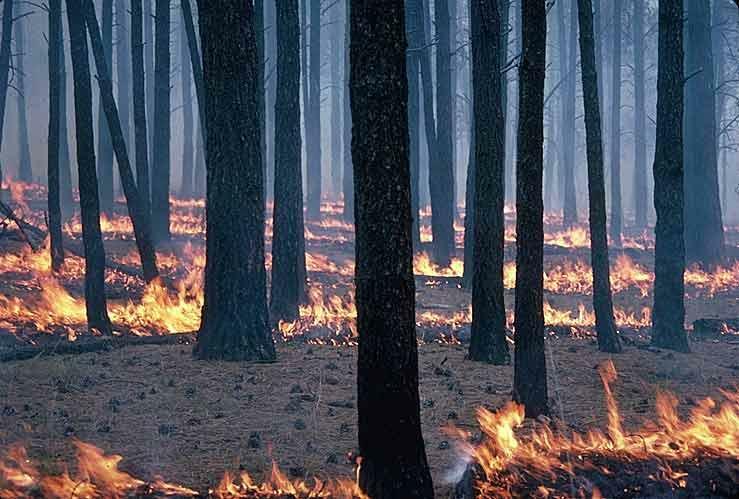 Climate change and unnaturally dense forests have led to larger, more frequent fires. Yet some wildfire is healthy for forests. An artist can show the beauty of a burn—and the role it plays in nature. Julie Comnick’s “Ashes to Ashes” exhibit. 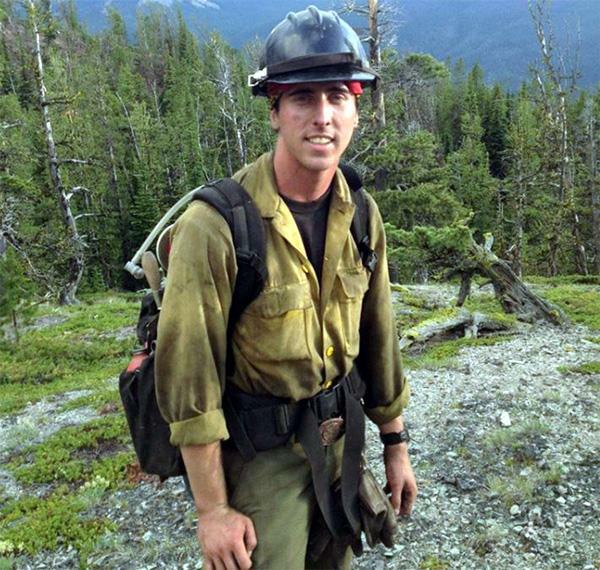 A tribute to the hotshots who died in the Yarnell Hill Fire, by Katharine Roth. The exhibit room for “Fires of Change” is filled with projects made from ink, paint, cloth, yarn, ceramics . . . but also materials found in the forest, like chunks of ponderosa pine, piles of cinders and even a live aspen tree. 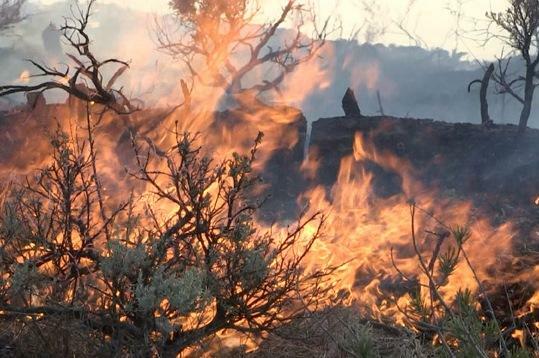 A video loops in the background, showing images of prescribed burns. For Helen Padilla, the most striking moment of the Fire Science Boot Camp was watching a team of hotshots unfold an emergency fire shelter—flimsy, foil-like material. Helen Padilla’s artwork, entitled “Bang Mirror,” made from fire shelter material. Collin Haffey, a fire ecologist with the U.S. Geological Survey, helped organize the project. He was impressed by what the artists came up with. A quilt by Bonnie Peterson shows the complex interactions between fire and society. Haffey says most people learn about wildfire through the media. Reports tend to focus on the frightening aspects. The Fires of Change exhibit captures a much more complex perspective—one that shows beauty as well as danger. 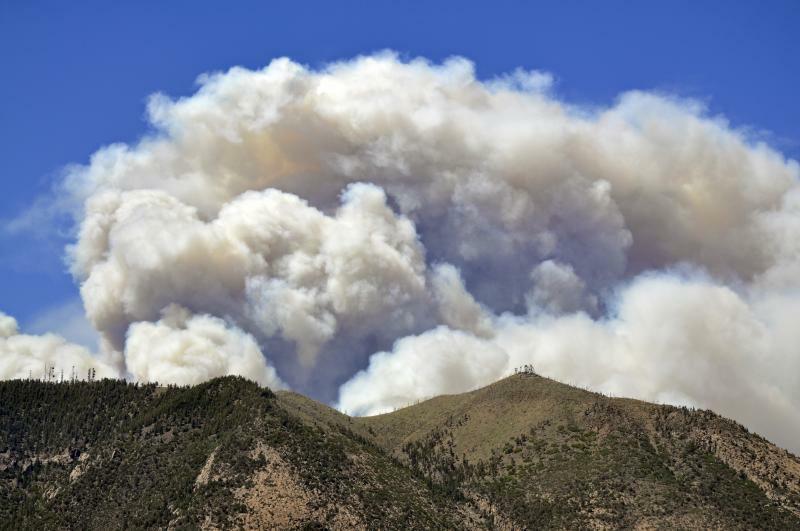 Haffey hopes that will open up a broader conversation about how fire can benefit forests and the communities nearby.  “And eventually maybe they’ll be a ten o’clock news story where the helicopters flying around a nice managed fire, and they’ll say: Look at these fire managers creating a resilient landscape for the people,” Haffey says. Fire of Change is open now through the end of October. Next the exhibit travels to Tucson to be displayed at University of Arizona’s Museum of Art. A poem by David Chorlton on the wall of the Fires of Change exhibition. 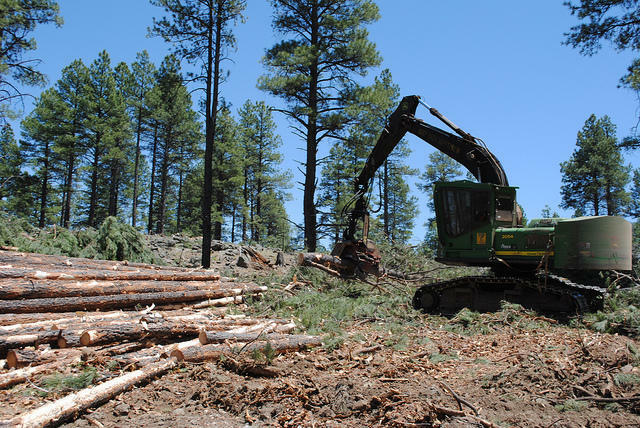 Supervisors with the Coconino and Kaibab national forests have given final approval of the Four Forests Restoration Initiative, or 4FRI. 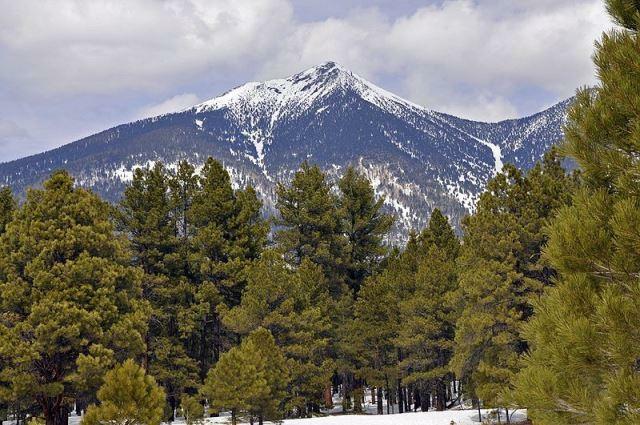 As Arizona Public Radio’s Ryan Heinsius reports, officials say the program will restore forest health and decrease wildfire danger.